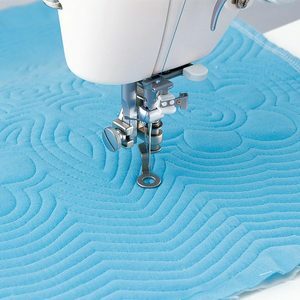 Use for free motion quilting, quilting along with a pattern, free-hand embroidery, etc. Needle is 1/4" from the edge of the ring. Use the edge of the ring along the previous row to place rows 1/4" apart. Juki stippling freemotion foot for the TL-98Q, TL-98QE, TL-98E, TL2000Qi, TL2010Q is an original Juki foot. The Juki stippling freemotion foot for the TL-98Q, TL-98QE, TL-98E, TL2000Qi, TL2010Q is uses for freemotion stippling and is designed for high speed quilting machines. 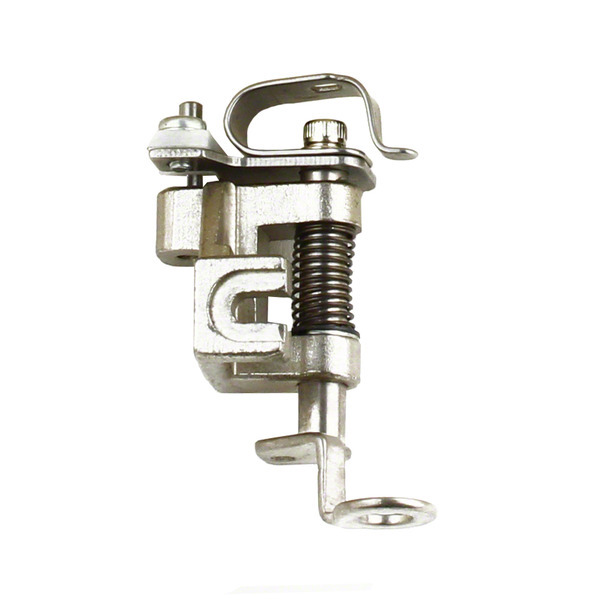 The Juki stippling freemotion foot for the TL-98Q, TL-98QE, TL-98E, TL2000Qi, TL2010Q features all metal construction and has a small opening on the head of the foot allowing for great stitch results when you freemotion quilt. Never had a problem with your company. Have also bought 2 sewing machines in the past with no issues. Love my new hoping foot. Also love the price and free shipping. Will definitely buy from you again. Thanks. I called my order in after researching it on the website. I did not like the "sign up" deal for payment - I guess I didn't understand why they wanted all that information when all you need is my credit card number and billing address. The shipment arrived so promptly I couldn't believe it and the foot works perfectly on my quilting machine. Thanks. It's tough to get supplies sometimes since I live in a very remote area.